There are products that receive rave reviews from everyone who’s tried them, approved by the experts, and have that x-factor: once you try it, it becomes an instant staple. These products have risen to the top among a highly curated selection of popular products and received the Best of Korean Beauty Award by Peach & Lily. We share here why this product is so singularly outstanding. If you feel like you’re not getting enough out of your eye creams, you’re not alone. The eye area is the most delicate skin on our whole body and that means moisture loss typically happens the most easily. And once moisture is lost, then everything else tends to go – collagen can break down faster, fine lines appear more deeply etched, and dark circles form or become more pronounced. This is exactly why one of Korea’s most cutting-edge and beloved spas, Eco Your Skin, created the eye essence. Unlike an eye cream that is typically meant to create a protective moisture barrier to prevent moisture loss, the eye essence is focused on delivering moisture deep into the eye area. Glycerin, hyaluronic acid and botanical extracts help impart and bind moisture to the deeper layers of the eye. Along with these ingredients, skin-firming peptides and skin-brightening niacinamide are also delivered to the skin. 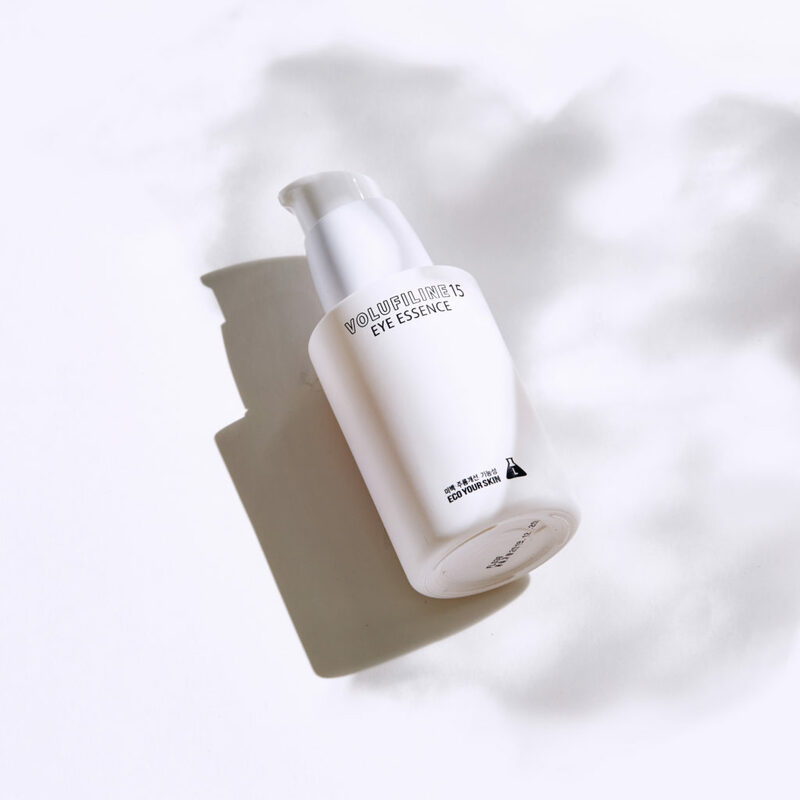 As if it isn’t enough that this eye essence takes care of helping these deeper layers of skin, the formula also brilliantly delivers instant results. Volufiline and polylactic acid fill in fine lines leaving the eye area smoothed out with a velvety finish. The eye area is instantly smoother, more refined, and makes for creaseless makeup application. The texture is a soft, light, gel that leaves behind juicy, dewy radiance. The best part? This is so hydrating and somehow seals it all in, so there’s no need for an eye cream over this eye essence. I personally love this eye product. I noticed after a few weeks wrinkles are less noticeable and skin texture is smoother. – Elizabeth K.
Finally found something to life the ‘tiredness’ look away! Had bags and fine lines under my eyes and I can definitely tell a difference with this product and feel the improvement in my skin. Love! – Curli T.
Saw the difference almost immediately – Wendy C.
This is a product that actually does what it says it will do! My undereye is much smoother looking and makeup does look better! How do they do it?? ?Love this product! – Ann K.
Discover this whole new way of taking care of your eye area.